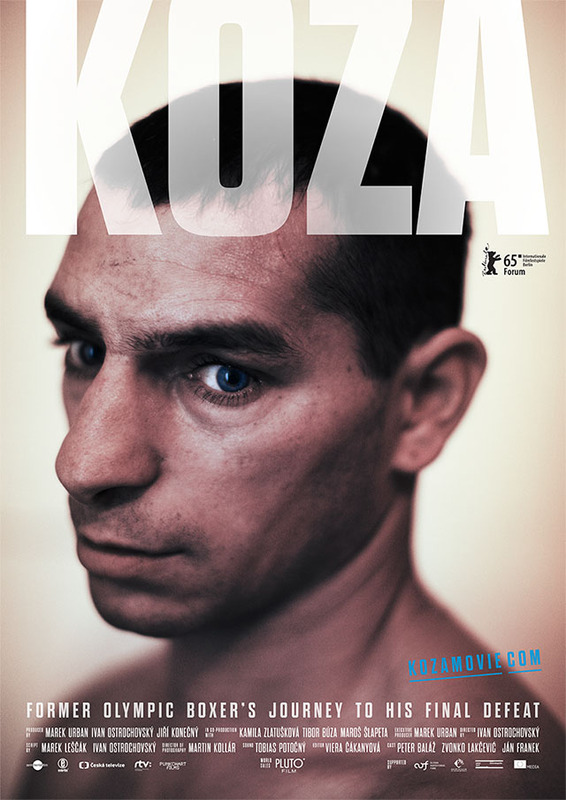 Koza is a movie of long silences, precise cinematography and uneven storytelling. This Slovak-Czech-produced indie film is a slow-burner from writer and director Ivan Ostrochovský, who takes the viewer across frozen tundra and urban decay and into the boxing ring – or more accurately, into the difficult life and times of the Roma boxer Peter “Koza” Baláž. Boxing movies are filled with has-beens trying to recapture their glory days; Peter Baláž is a never-was. Nicknamed Koza (Goat), former Olympic boxer Baláž (playing himself in a nice touch of metafiction) is struggling to provide a living for his partner Misa and his young daughter in a run-down housing estate. When Misa learns that she is expecting a second child, she decides to terminate the pregnancy. Koza, concluding that he needs to earn some much-needed cash and possibly try to change Misa’s mind, embarks on a surrealistic comeback tour/road trip with his manager, Zvonko. The only problem? Koza just can’t seem to make it past the first round. Koza’s frankly bizarre relationship with his manager/tormenter Zvonko is minutely broken down throughout the film’s (sometimes too long) scenes. Koza shows rather than tells, and dialogue is few and far between. Things lighten up for a bit with the introduction of grizzled trainer Franek and a genuine, live chicken in a box, but the former soon disappears off to the pub and Zvonko angrily throws the chicken out of the van’s window in a fit of pique. The film excels in the quiet scenes where not much is happening, allowing the minutiae to take centre stage. Koza the movie, and Koza the man, remain enigmatic and out of reach. The movie arguably takes just a bit too long to reach its final conclusion. The main character is inexplicable and difficult to read; at times chatty and garrulous, while at others laconic and quiet. That said, Koza is a movie that is well-worth checking out. A tad stolid, its excellent cinematography more than makes up for it, while its story is worth persevering with. Ultimately, it’s a film that speaks loudest when it is most silent.